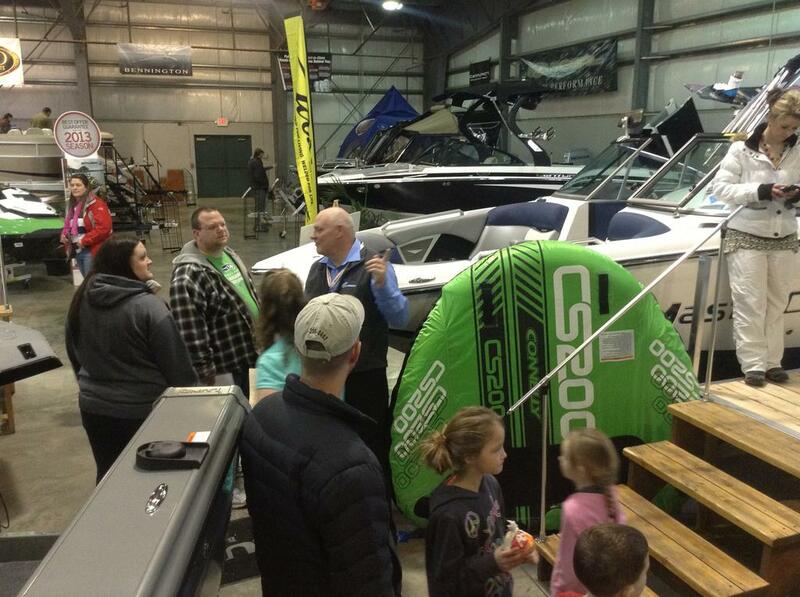 Flathead Valley Boat Show in Kalispell Montana, the best time of year to get good deals on boats, jetskis and pontoons. It is warm and cozy inside. Free admission and parking. Want to see how cheap owning a boat can be? Have a look at our cost comparison tool. Best selection of dealer inventory as well as still having time to custom order your boat and have it for the start of the season. Your best chance as a customer to shop and compare brands "side by side"
Multiple dealers in competition to sell as much product as they can to secure you as a customer...no matter what it takes! Remember...you're not out of luck if you wait until summer, but why not take advantage of the best pricing, selection, and financing with a Flathead Valley Boat Show deposit or purchase!! As always, representatives from MT Fish, Wildlife & Parks and the U.S. Coast Guard will be on hand to answer all your boating questions! Recognized as a special event each year by boaters and non-boaters alike! Enjoy a chance to dream of summer fun and know that spring is not far off. Attendance figures keep increasing each year because the Flathead Valley Boat Show really is.....Montana's Greatest Boating Event.